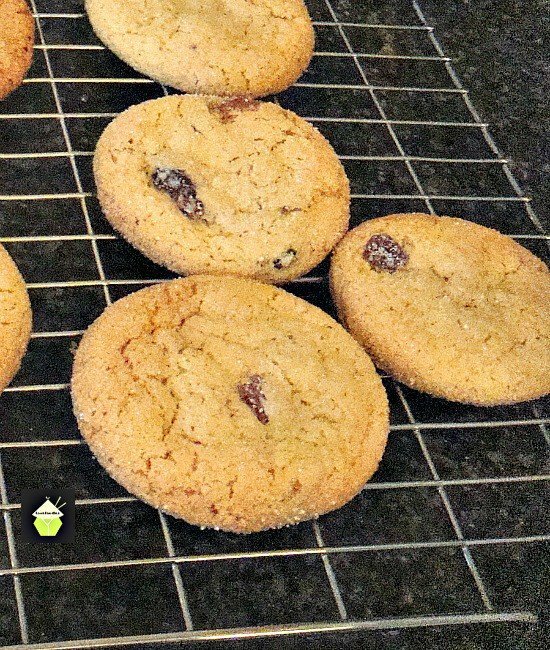 After making Nanny Pat’s Delicious Cookies, I was blown away by the texture and flavours and decided I would make some variations, using Nanny’s cookie recipe as my foundation, to which I could add all kinds of different flavours. 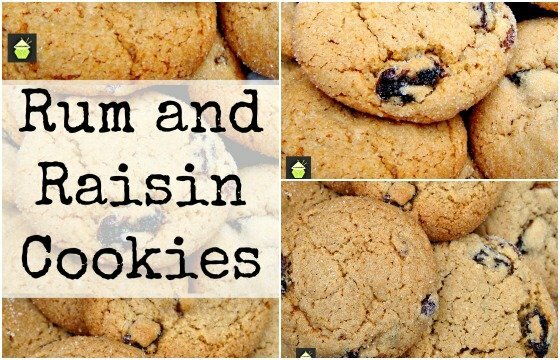 These Rum and Raisin Cookies are amazing! 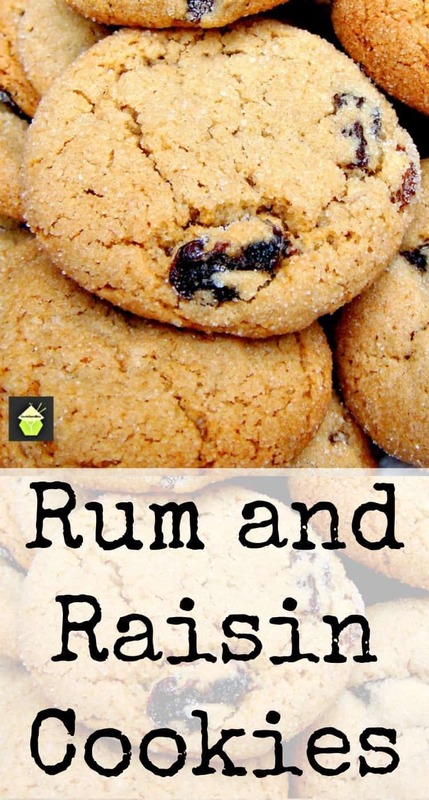 You get an orange zesty rum flavour, together with added spices, and then the juicy raisins in every bite. The outer is crunchy and the inner is chewy, so you get the best of both worlds! Juice of 2 Clementines or 1 Tablespoon juice from an orange of using. 2. Mix well in a large bowl the eggs and sugar. 4. Add the raisins and liquid to the egg & sugar mixture. Combine. 5. I use my stand mixer and then, Mix these ingredients below together, and add them slowly to the bowl, while mixer is running very slow :- flour, salt, ginger, cinnamon and baking Soda. 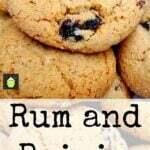 At this point, you may need to add the extra flour until the cookie dough becomes stiff enough to roll into balls. Use your judgement here. 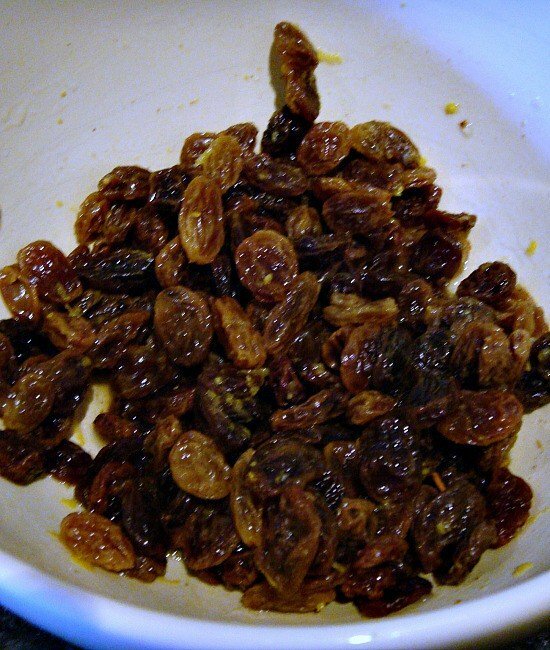 Every brand of flour is different and also how much liquid your raisins have absorbed. 6. Important: let stand for 15-20 min. 7. Form into balls (about 1 inch rounds). Put granulated sugar in a wide short bowl, Roll in the sugar, placing them on cookie sheets (UNgreased). I only put 9 to a sheet. 8. Bake on UNgreased cookie sheet for 10 min., @ 350 degrees. Let set only 1 min. & then Carefully (very carefully) with a large thin spatula. remove to a rack to cool. 9. Make a lovely cup of tea and enjoy a cookie or two! Tablespoon Juice of 2 Clementines or 1 juice from an orange of using. Mix well in a large bowl the eggs and sugar. Add the raisins and liquid to the egg & sugar mixture. Combine. I use my stand mixer and then, Mix these ingredients below together, and add them slowly to the bowl, while mixer is running very slow :- flour, salt, cloves. ginger, cinnamon and baking Soda. Form into balls (about 1 inch rounds). Put granulated sugar in a wide short bowl, Roll in the sugar, placing them on cookie sheets (UNgreased). I only put 9 to a sheet. Bake on UNgreased cookie sheet for 10 min., @ 350 degrees. Let set only 1 min. & then Carefully (very carefully) with a large thin spatula. remove to a rack to cool. 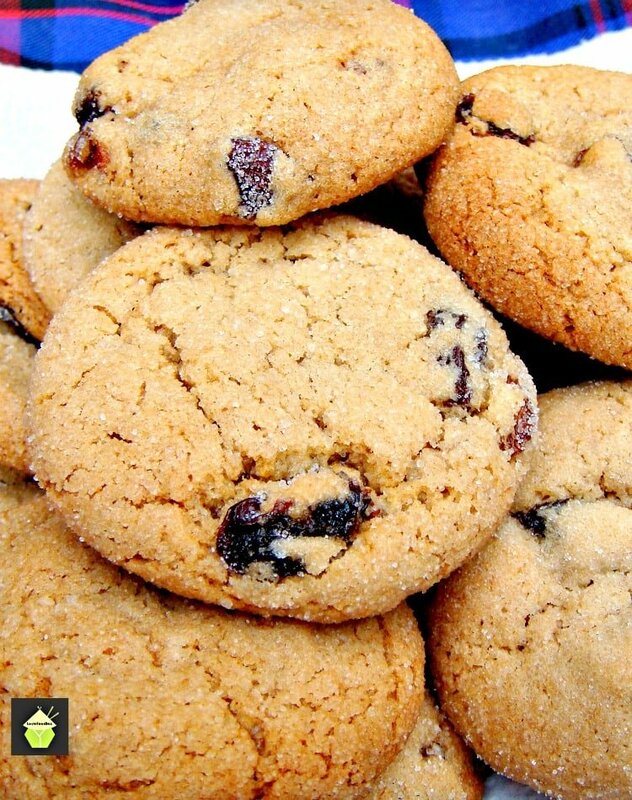 Make a lovely cup of tea and enjoy a cookie or two!